This is the upper right corner of Lily special quilt. Grandma Rita (Waldo’s Mom) made it for Lily. She makes one for each grandchild and they are amazing. Rita puts so much love into every little detail, you can feel the love pour off in waves as you try to take it all in. 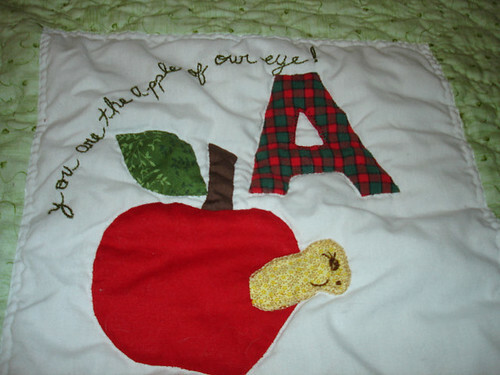 This is the first in the quilt series. I’ll continue this on Tuesday and Thursday of the next couple of weeks.